We are always lamenting that we have a non-stop overdose of politics and politicians in this country. Switch on the TV and the topic is inevitably the former and the guests are inevitably the latter, as they relentlessly take over public discourse. There doesn’t even need to be an official ‘start’ to an electoral campaign as the campaigning never really stops in the five year span between one general election and another. The country is either in electoral mode, or predicting-who-is-going to win mode, or analyzing why one-party-won-and-the -other-didn’t mode. And so, because we are so politically fatigued that even our fatigue is fatigued, one would think that a simple little song contest would be a much-anticipated reprieve. One would think so, but one would be wrong. As it turned out, even the appearance of a veteran singer who was asked to present the first place prize to the winner was immediately the focus of sharp eagle eyes who see conspiracy theories everywhere, and who promptly decided that she was chosen because of her political hue. Now maybe it’s because my brain is not wired that way, but I never look at a singer or anyone in the performing arts and mentally label her Labour or Nationalist. Actually, I don’t look at anyone that way except if they are political candidates, activists or pundits, in which case they are open about their allegiance anyway. And the reason I don’t is because, frankly, my dear, I don’t give a damn. Honestly, what difference does it make to me who they vote for? Will I like them less or more because of it? Will their warbling notes be music to my ears or else hit me as being off key, simply based on their voting patterns? As far as I’m concerned, no, and the very idea is patently absurd. But I find it almost scary how many think this way – even people who are normally quite intelligent and rational. The fact that Mary Spiteri presented the prize (rather than Ira who won last year) gave rise to a spate of comments which at first I laughed off because I thought they could not possibly be serious. But then I realized they were, which made me wonder whether people were actually listening to themselves? The accusations flew thick and fast: Ms Spiteri was chosen because she is a Labour supporter; the audience cheering her turned it into a mass meeting; this was an insult to Ira and did not follow “protocol”. What protocol? This was hardly the Nobel Peace Prize. Mary Spiteri is one of Malta’s most well-loved, veteran singers. 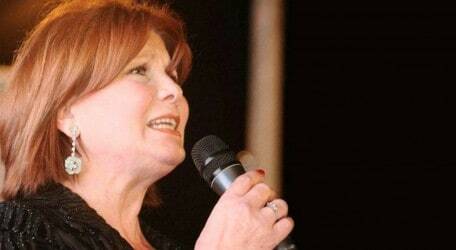 She is to us what Rita Pavone is to Italy (and did you see what a great tribute they gave her at San Remo)? But I find it sad that we cannot even acknowledge past artists without dredging up politics or making a fuss because someone like Ms Spiteri also happens to be a staunch, vocal, Labour supporter (and so what if she is? Last time I checked it was not a crime.) If the crowd at Ta’ Qali broke into wild cheering and chants of “Mary, Mary”, it’s because of the songs she has given us and her musical career which spans generations. Prior to this, she had not made a public appearance in a very long time. Reading more into it strikes me frankly as being very small-minded. There is something wrong in a country when everything that happens has to be given a sinister twist and tarred by petty partisan politics – one would almost be tempted to call it paranoia. But there was more – I also read a couple of comments which were insinuating that certain singers were deliberately left out of the opening sequence of past Malta Song winners purely because of their politics (for which read, because they are Nationalists). In fact, Ira Losco herself posted this same explanation and it was clear she was hardly tearing her hair out. But what is even more ironic about all the self-righteous indignation and jumping to conclusions on Ira’s behalf is that if you recall last year, many had their knickers in a twist because Ira was being sent again, automatically citing “politics” as the reason. Much like the paranoia about “Reds under the bed” at the height of the fear of Communism, I guess if you have politics on the brain you are bound to see it everywhere you look.